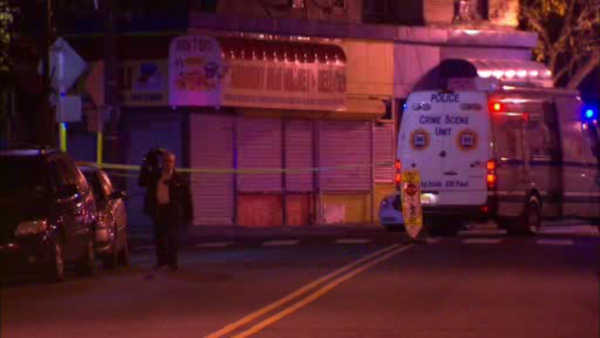 JERSEY CITY (WABC) -- An arrest has been made after authorities say a man was fatally stabbed in Jersey City after trying to come to the aid of someone who was being assaulted. Police arrested Froylan Lopez on murder charges Sunday. According to the Hudson County Prosecutor, police found Troy Brandon, 26, of Jersey City, on the corner of Monticello and Storms Avenues with an apparent stab wound(s) to his torso, at about 10:15 p.m. Saturday. He was pronounced dead at Jersey City Medical Center. Based on the preliminary investigation, detectives believe the victim, who lived in the area, was simply trying to intervene or render aid to an individual that was just assaulted when he was stabbed. Details of the first victim have not yet been released. Lopez is being held on $1 million bail.